There's been a Warbling Vireo singing like crazy in the back parking lot of DeKorte. It took me a week (maybe more) … but I finally managed to get a half-way decent shot. He doesn't come down from the tree tops often — and when he does, he doesn't sit still for long. 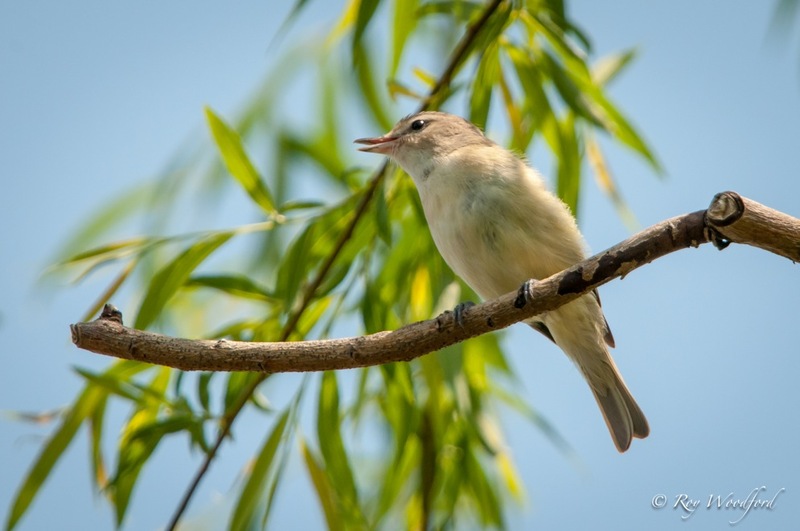 Note: On Sunday, Rick Wright reported a Warbling Vireo in DeKorte Prak and by Disposal Road: he also reported hearing a Dickcissel near Disposal Road behind the Eternal Flame.